“ I will faithfully execute the Office of President of the United States, and will to the best of my Ability, preserve, protect and defend the Constitution of the United States." When written, this oath was revolutionary because the President swears their allegiance not to a country or an individual, but instead to the ideas of the United States Constitution—democracy, federalism, and the separation of powers. The President is stating he is bound to the rules outlined in the Constitution and it is his job to protect and enforce this document. 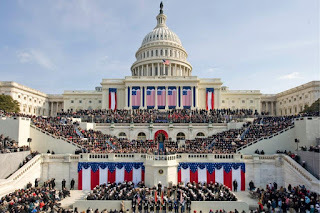 At approximately 12 o’clock noon, on January 21st, Barack Obama will be publically sworn-in on the steps of the U.S. Capitol as President of the United States of America for his second four-year term. First, Mr. Obama will repeat the oath of office, which will be administered by the Supreme Court Chief Justice John Roberts. 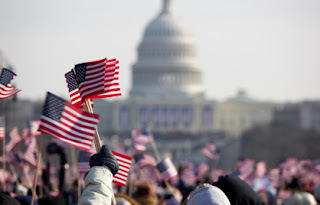 When Inauguration Day falls on a Sunday, as it does this year, the chief justice administers the oath to the president either on inauguration day itself or on the Sunday privately and the following Monday publicly. 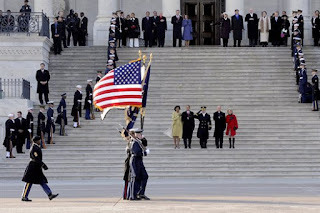 President Obama has elected to privately and then publically take the oath. Hundreds of thousands of people will brave the winter chill to watch him take the oath on the steps of the Capitol in Washington, with many of these people traveling hundreds or thousands of kilometers to attend. In addition, millions more Americans will watch it live on television. As President Obama delivers his inaugural address, he will be looking down the National Mall, beyond the Washington Monument, towards the Lincoln Memorial. It was on the steps of this shrine to one of the United States’ greatest presidents where Dr. Martin Luther King gave his famous “I Have a Dream” speech in 1963. Dr. King declared in this speech that “I have a dream that my four little children will one day live in a nation where they will not be judged by the color of their skin but by the content of their character.” Dr. King fought tirelessly for equal rights, and President Obama’s inauguration will coincide with the annual Martin Luther King holiday. Federal government offices close for this holiday and Americans are encouraged to celebrate the holiday with a “day on, not a day off” by volunteering and providing community service. It is poignant that forty years ago after this speech, the United States will be swearing in an African American as President on the day Americans honor Dr. King and his legacy. After the new President finishes his speech, he will have lunch in the U.S. Capitol, sponsored by the Joint Congressional Committee on Inaugural Ceremonies, which organizes the inauguration. Following lunch, the President will then travel down Pennsylvania Avenue from the Capitol to the White House, where he will then watch a parade comprised of bands and organizations from across the United States. The day will end with a series of balls and parties across Washington, DC. 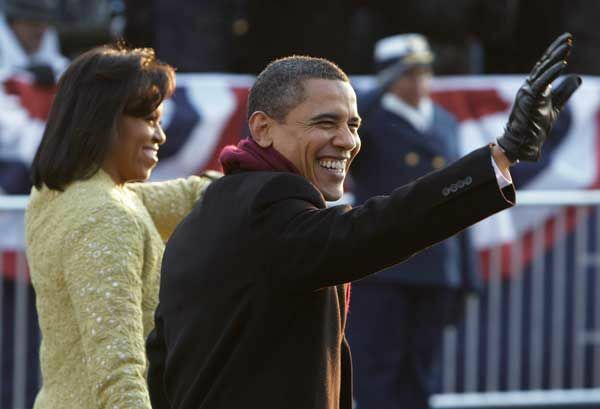 For his first inaugural, President Barack Obama attended ten official balls. At the 2009 Neighborhood Inaugural Ball, the President and First Lady danced to a live performance by Beyoncé. 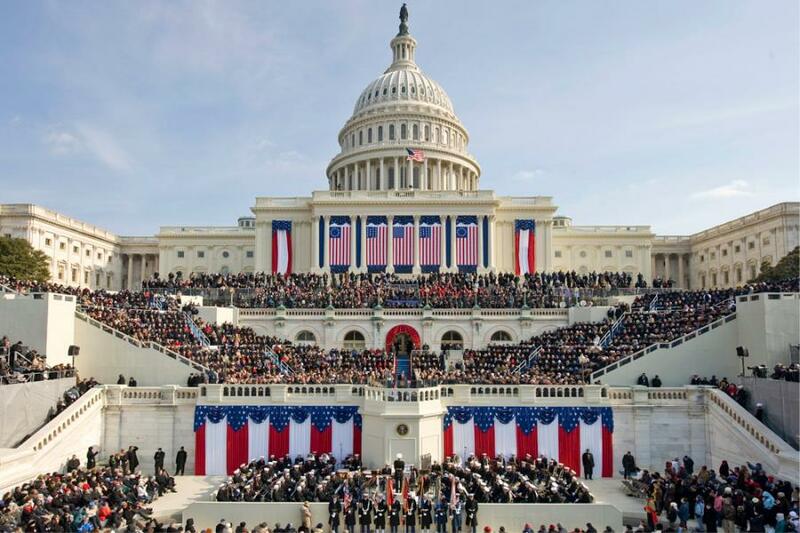 While the Presidential Inauguration does contain plenty of pomp and circumstance, such as the balls, it also demonstrates the United States’ commitment to democracy.